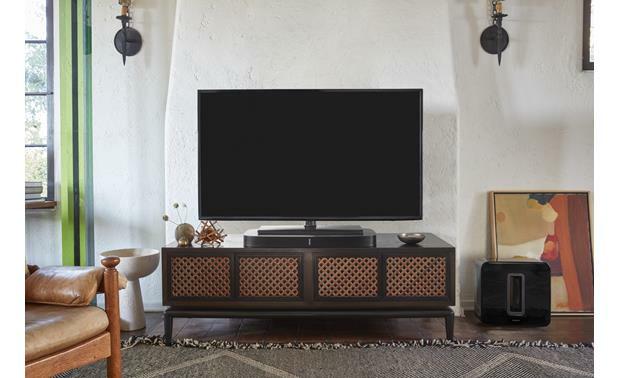 Is your TV sitting on a cabinet? 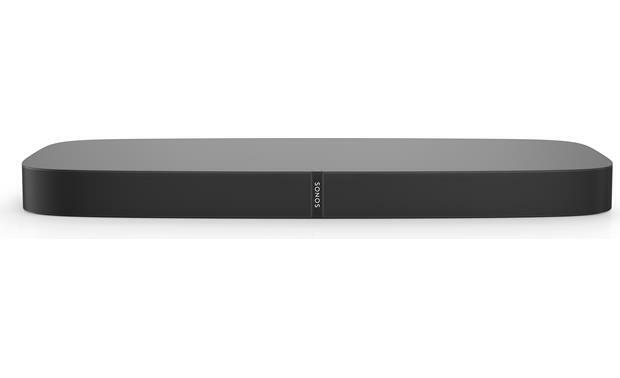 This Sonos 5.1 home theater system delivers enveloping, room-filling sound with your movies, TV shows and music — without you having to wall mount anything. The sturdy Playbase simply sits right underneath your TV. You can send the sound to Sonos speakers in other rooms — TV soundtrack, podcast, internet radio station, TIDAL playlist and more. 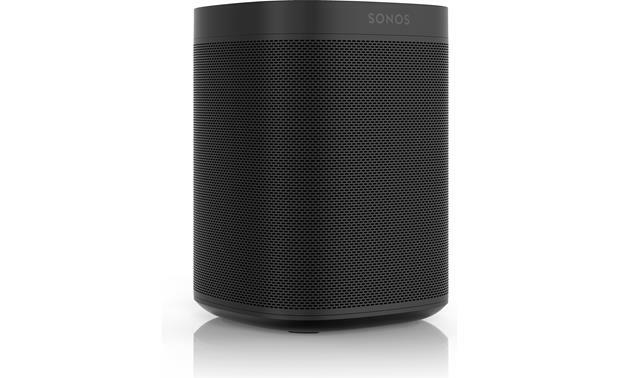 The system comes with two Sonos One speakers with Amazon Alexa built-in. So you can control everything just using your voice. 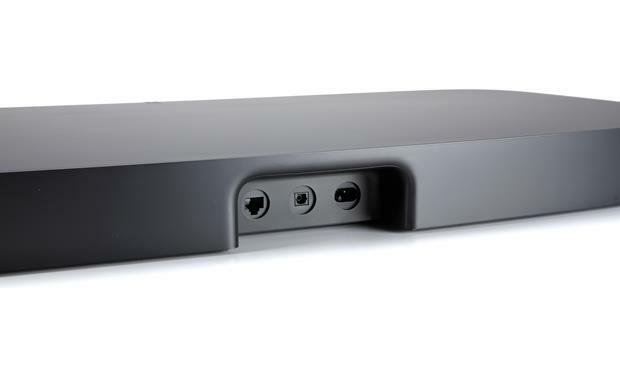 The Playbase tucks away under your TV, so it won't block your view of the screen. 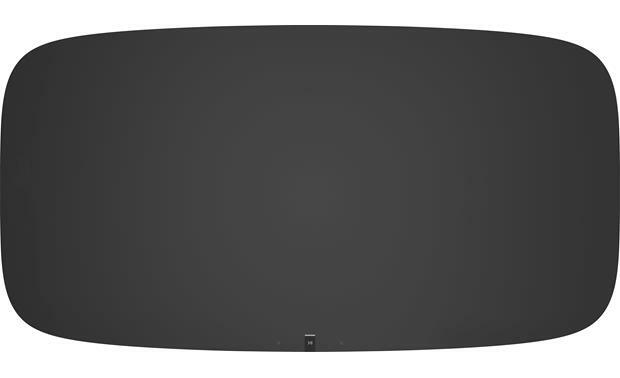 Its 10-speaker array accurately reproduces sound for your home theater's center, front left and front right channels. The Playbase's automatic equalization self-adjusts to the program material to provide rich, seamless sound. 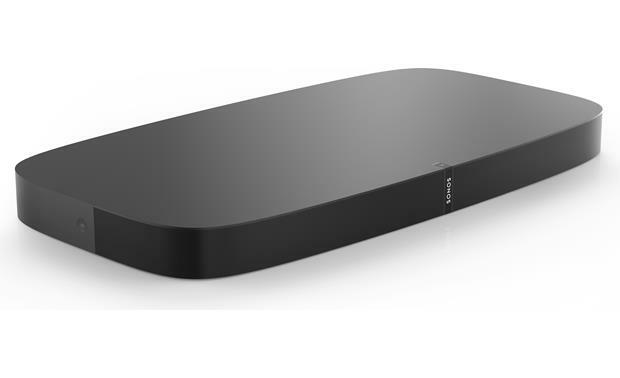 The Playbase wirelessly connects to the Sonos Sub for the deep bass — an important part of any home theater system. 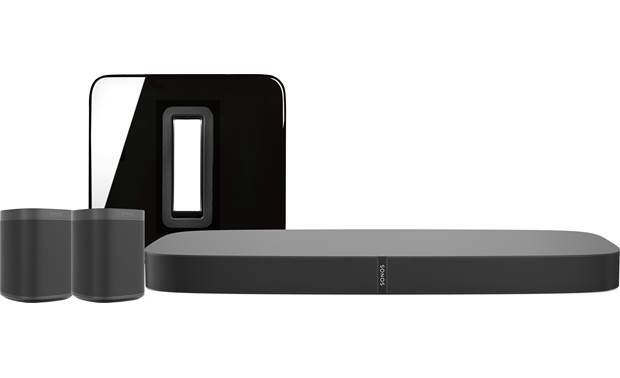 Two Sonos One speakers serve as the surround channels to complete the wraparound movie theater sound experience. They connect wirelessly to the Playbase, so you have the freedom to place them where you need them in the room. Alexa turns the Sonos One speakers into voice control hubs for your Sonos multi-room system. Tell Alexa to turn up the volume of a Play:5 in your living room, or play your party mix through every Sonos speaker in your home. Each Sonos One has a 6-mic array with noise cancellation to ensure Alexa clearly hears your commands — even if the music's loud. Tell Alexa to mix and match from Pandora®, Spotify®, Amazon Music, iHeartRadio, and more. And control even more music features through the Sonos app on your smartphone or tablet. The Playbase and each Sonos One speaker has AirPlay 2 built in. 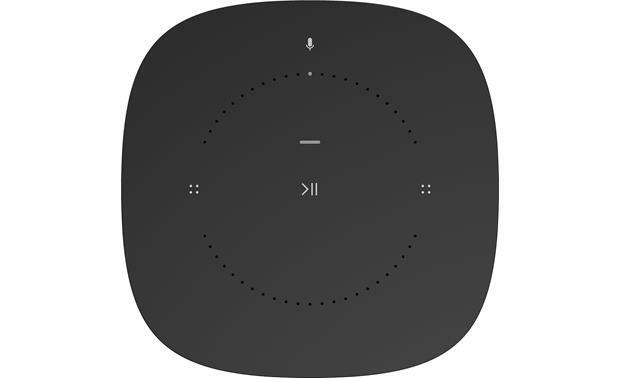 That means you can stream audio directly from your iPhone®, iPad®, or Mac® computer through your Sonos system. That includes soundtracks from YouTube® videos and Netflix movies.